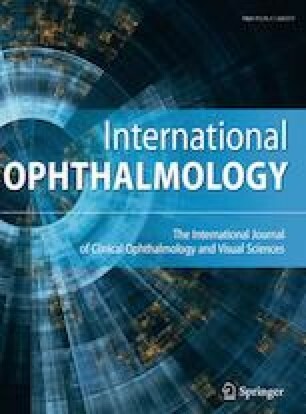 To investigate the effects of partial and full correction of refractive errors on sensorial and motor outcomes in children with refractive accommodative esotropia (RAE). The records of pediatric cases with full RAE were reviewed; their first and last sensorial and motor findings were evaluated in two groups, classified as partial (Group 1) and full correction (Group 2) of refractive errors. The mean age at first admission was 5.84 ± 3.62 years in Group 1 (n = 35) and 6.35 ± 3.26 years in Group 2 (n = 46) (p = 0.335). Mean change in best corrected visual acuity (BCVA) was 0.24 ± 0.17 logarithm of the minimum angle of resolution (logMAR) in Group 1 and 0.13 ± 0.16 logMAR in Group 2 (p = 0.001). Duration of deviation, baseline refraction and amount of reduced refraction showed significant effects on change in BCVA (p < 0.05). Significant correlation was determined between binocular vision (BOV), duration of deviation and uncorrected baseline amount of deviation (p < 0.05). The baseline BOV rates were significantly high in fully corrected Group 2, and also were found to have increased in Group 1 (p < 0.05). Change in refraction was − 0.09 ± 1.08 and + 0.35 ± 0.76 diopters in Groups 1 and 2, respectively (p = 0.005). Duration of deviation, baseline refraction and the amount of reduced refraction had significant effects on change in refraction (p < 0.05). Change in deviation without refractive correction was − 0.74 ± 7.22 prism diopters in Group 1 and − 3.24 ± 10.41 prism diopters in Group 2 (p = 0.472). Duration of follow-up and uncorrected baseline deviation showed significant effects on change in deviation (p < 0.05). Although the BOV rates and BCVA were initially high in fully corrected patients, they finally improved significantly in both the fully and partially corrected patients. Full hypermetropic correction may also cause an increase in the refractive error with a possible negative effect on emmetropization. The negative effect of the duration of deviation on BOV and BCVA demonstrates the significance of early treatment in RAE cases. All authors have no affiliations with or involvement in any organization or entity with any financial interest in the subject matter or materials discussed in this manuscript. The present study was carried out in accordance with the Helsinki Declaration Principles, after obtaining the approval of the institutional ethics committee.